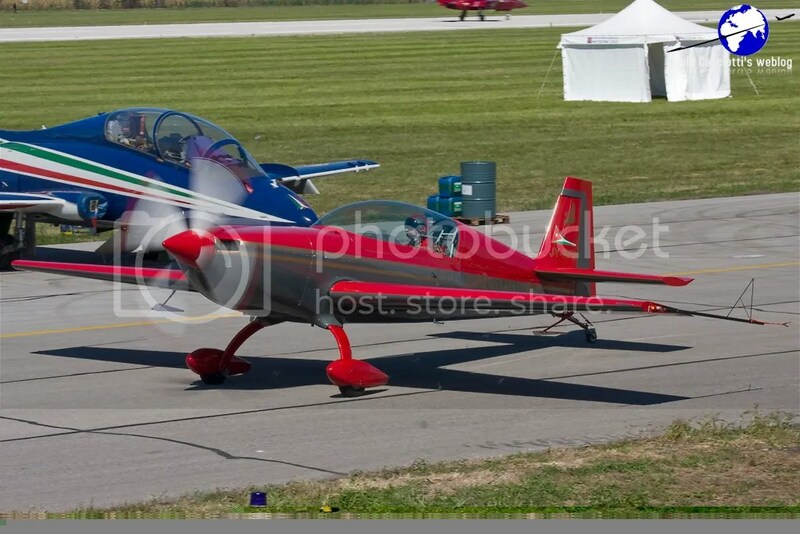 HomeGiornata AzzurraWho are the best aerobatic team? 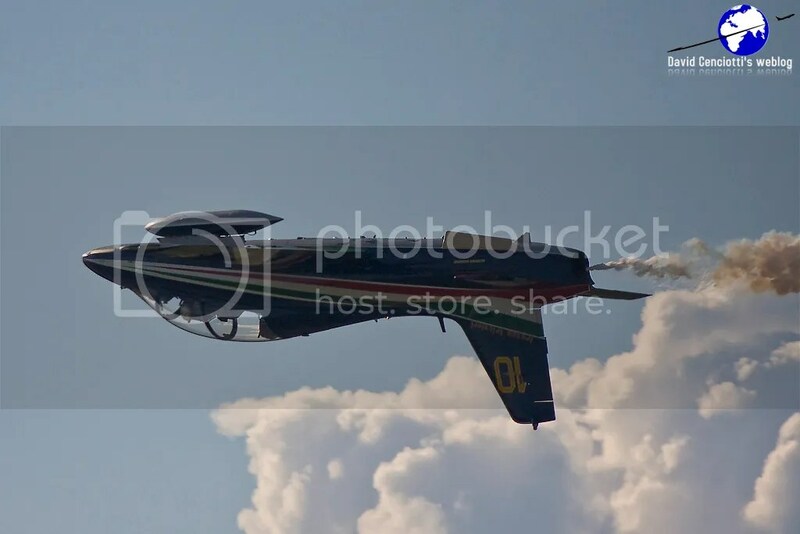 As I have already explained in my previous post about the airshow held in Rivolto on Sept. 11 and 12, 2010, to celebrate the 50th Anniversary of the Frecce Tricolori, in the last weeks I was interviewed many times by both newspapers and TVs. It is extremely difficult to answer impartially to this question. 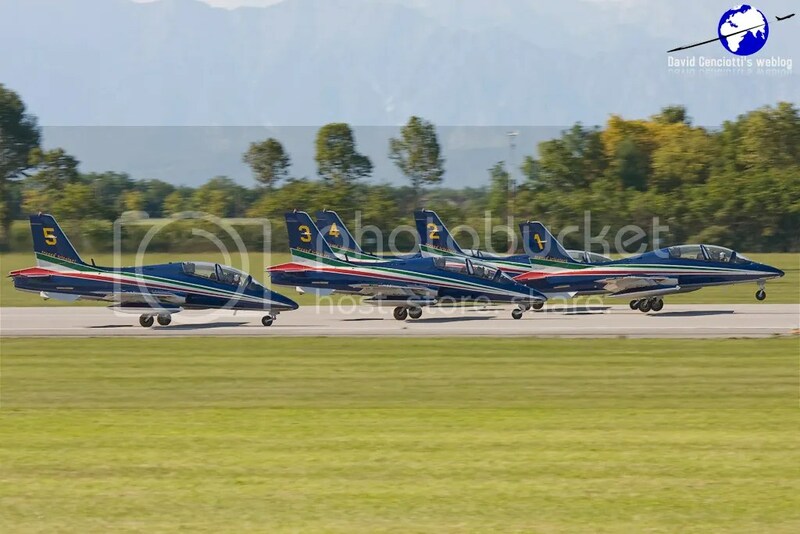 Patriotism is something that can influence the pick, so what I answered each time I was asked this question is something that can’t be denied: the Frecce Tricolori can claim a certain number of records that have never been matched by any other aerobatic team in the world. 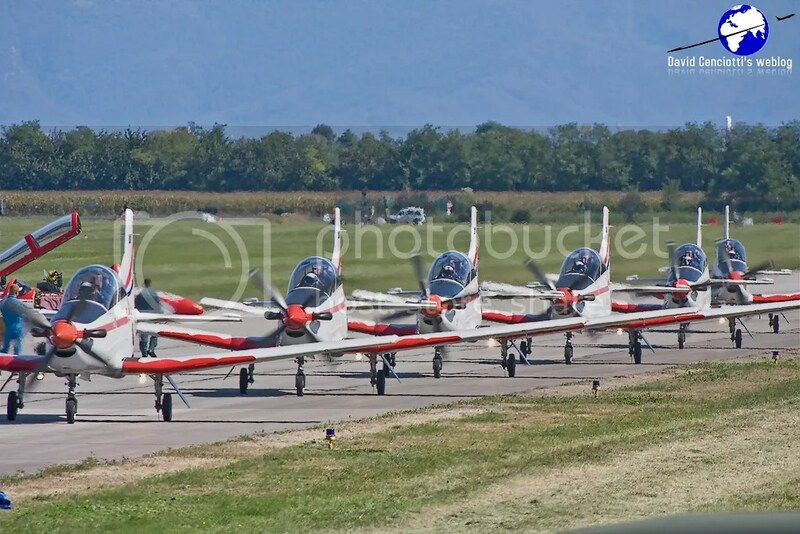 First of all its size: the Italian aerobatic team is the only one to fly with 10 aircraft. Another singularity which makes the PAN unique is the fact that the whole display is executed in sight of the public. Separations, transformations and rejoins are always performed in front of the spectators, a circumstance which requires absolute preciseness in all phases of the display. 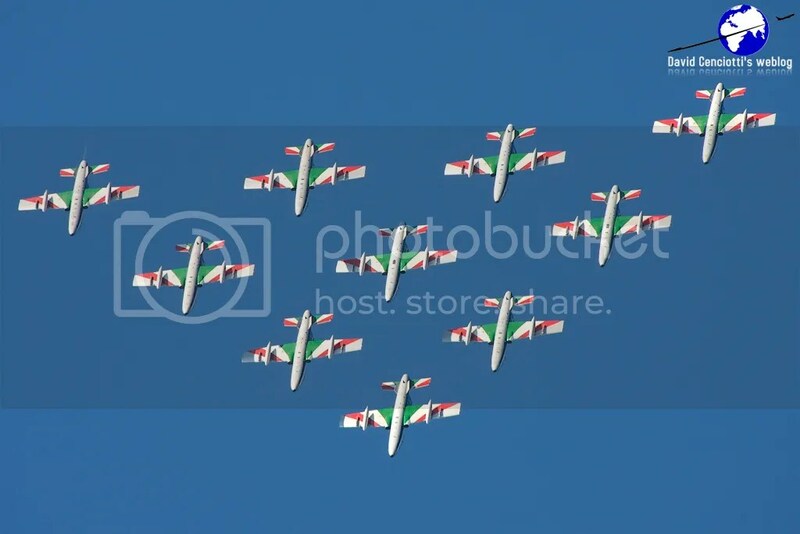 By the way: another record accomplished by the Frecce Tricolori is the fact that they separate into two formations (one flight of 5 and another of 4 aircraft) which then fly an opposition pass and subsequently rejoin in less than two minutes. Rejoin time is a factor that can influence deeply a flying display. 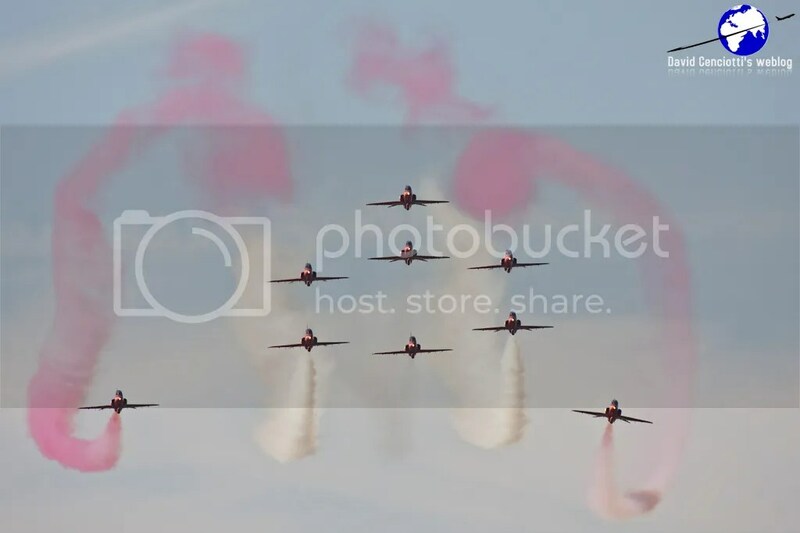 For instance, many noticed that, after taking off from Rivolto, the Red Arrows were out of sight of the public for many (too many…) minutes before rejoining and performing the entry passage. I don’t know what exactly happened (maybe they experienced some kind of failure) but the “dead time” from take off to the first manouevre (“Big Battle to Short Diamond loop and twist”) . Will get back to the Red Arrows display later. One more peculiarity of the PAN is the Downward Bomb Burst, a manoeuvre which has been part of the Pattuglia’s tradition since its creation, having been part of the Italian Air Force heritage for 80 years now. 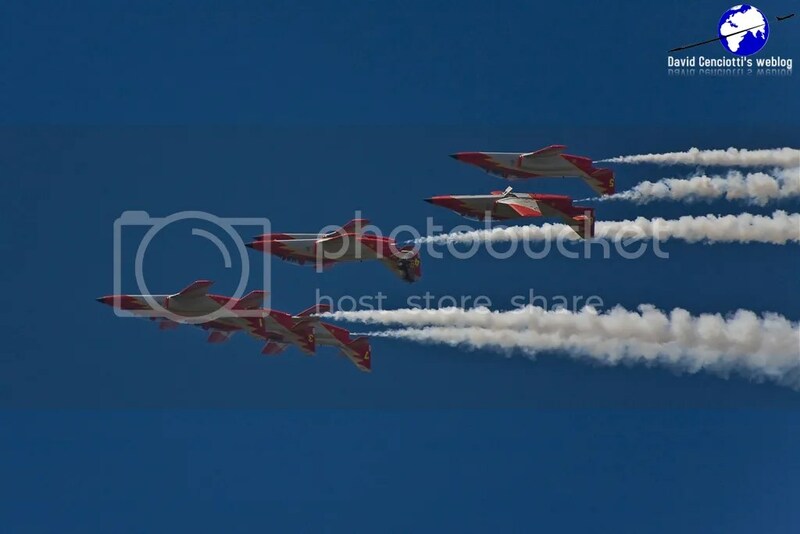 It is a manoeuvre in which the aircraft, starting from a high altitude and in formation, dive towards the ground and then separate into 9 individual elements which depart in different directions, finally returning for an opposition pass, at three different levels, over the same point. This is a very spectacular and complex manoeuvre, which no one else is capable of reproducing, especially due to the difficulty in opposition passing and rejoining in the very short time frames required for a display. 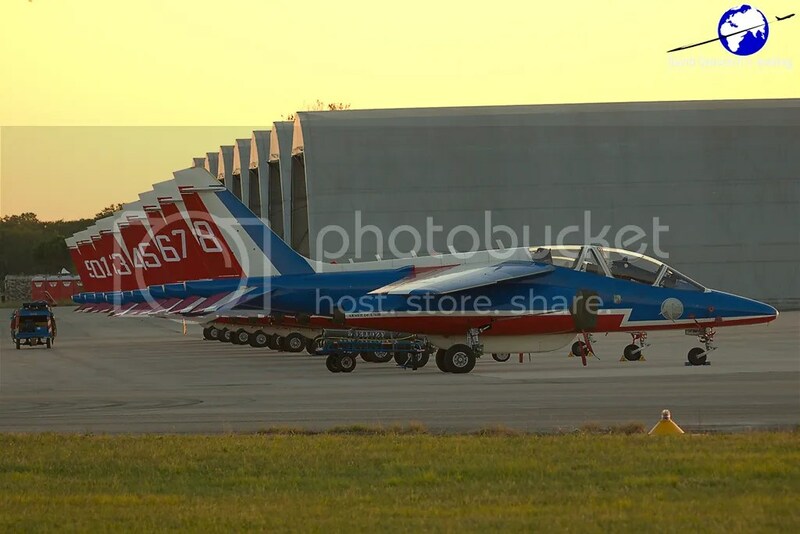 The other record of the Frecce Tricolori is tied to the Solo’s Lomçovak. 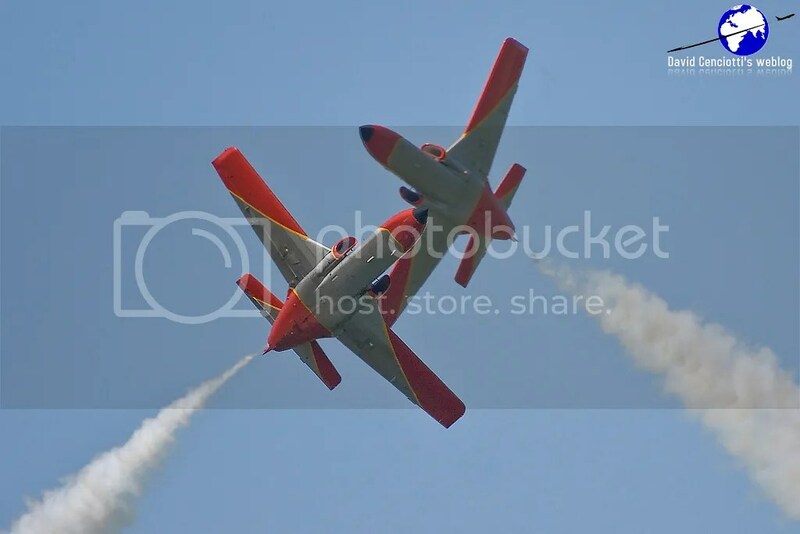 This is a display which is typically executed by propeller aircraft, and foresees a “standing roll” followed by a vertical spin, reverse and subsequent aircraft pitch down. Such a manoeuvre is usually “outside the flight envelope” for most jet aircraft, but the PAN’s Solo pilot can execute it in complete safety, thanks to the outstanding handling capabilities of the MB 339. 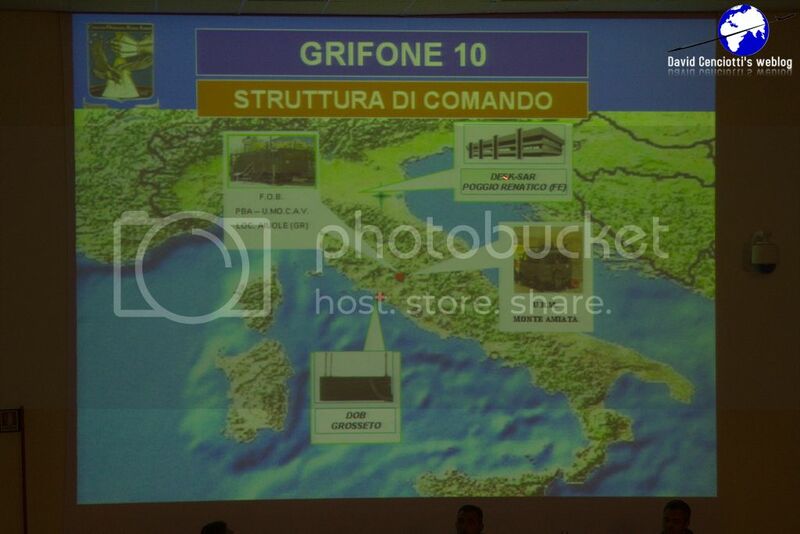 That said, in my opinion the Frecce display is the most difficult and technical. 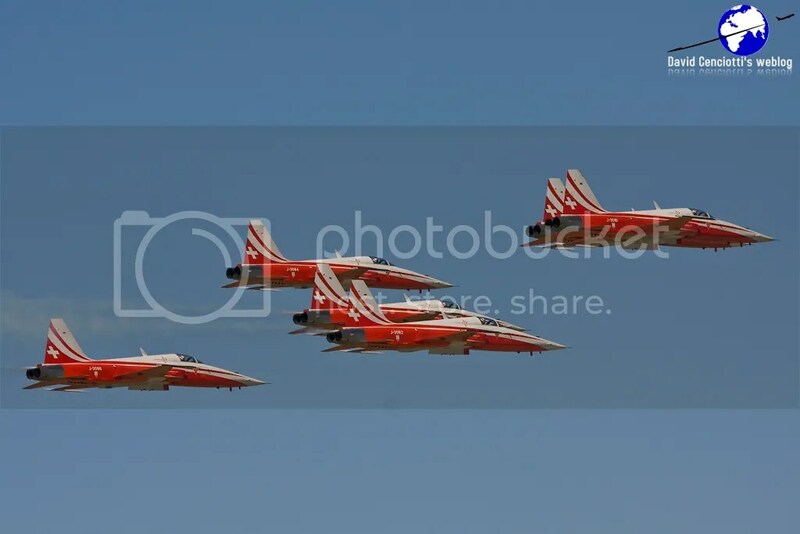 Each manouevre is followed by another one, in a flying programme that is extremely “fluid” and “continuos” with no dead spaces (as you can always watch the 9 ship formation, or the solo’s display). 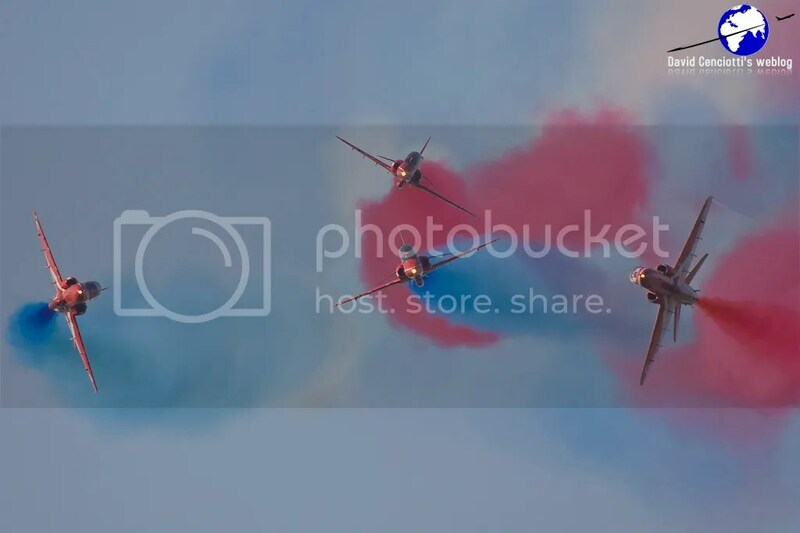 Red Arrows and Patrouille de France displays are impressive too: they have lots of different formations and manouevres, some of which are extremely spectacular (like wingmen fly from one side of the formation to the other one). But formation is not as tight as the Italian “diamond”, manouevres (often) involve a lower number of aircraft (as the Reds’ Gypo Break or the Heart that the Frecce perform with two sections 5+4) and rejoining time is not as strict as for the Italian team and you can clearly notice the remaining aircraft flying nearby trying to rejoin with other “isolated” elements. Their display is like a series of beautiful manouevres that doesn’t look like a single choreography. On the other hand, the Frecce display is (more or less) the same from decades. A new manouevre appears in the programme every 7 – 8 years. 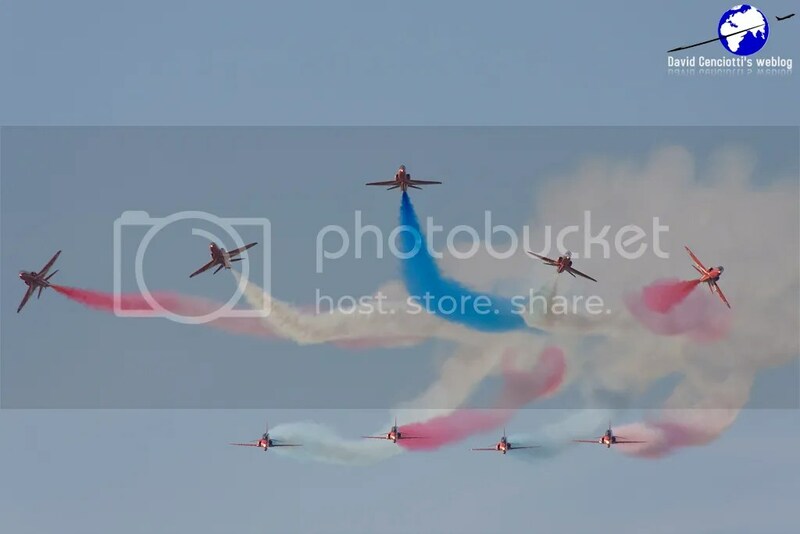 This make their display technical and interesting (especially for the competent observer) but monolithic, while the Reds or Bleus ones, are (maybe) slightly less difficult, but (maybe) slightly more “aggressive” and breathtaking. 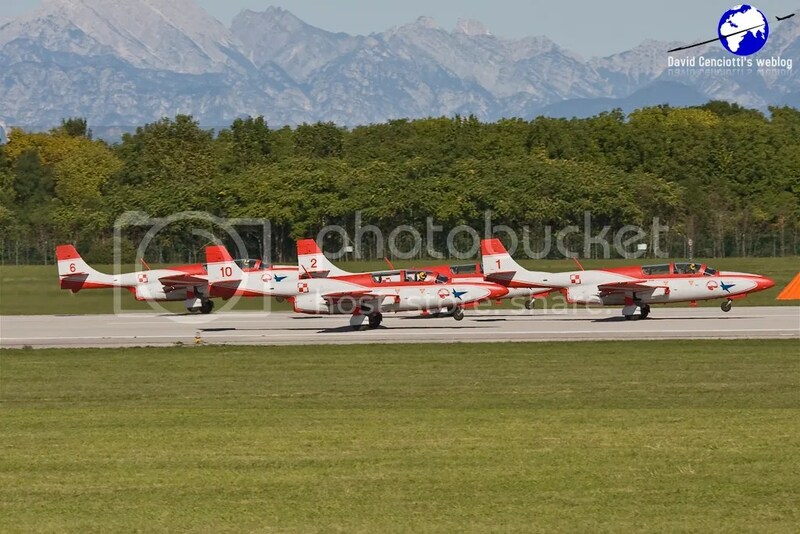 The Swiss Patrouille Suisse (flying with the powerful F-5), the Spanish Patrulla Aguila and the Croatian Krila Oluje Team (whose display would be more impressive with the use of smokes) are quickly improving. 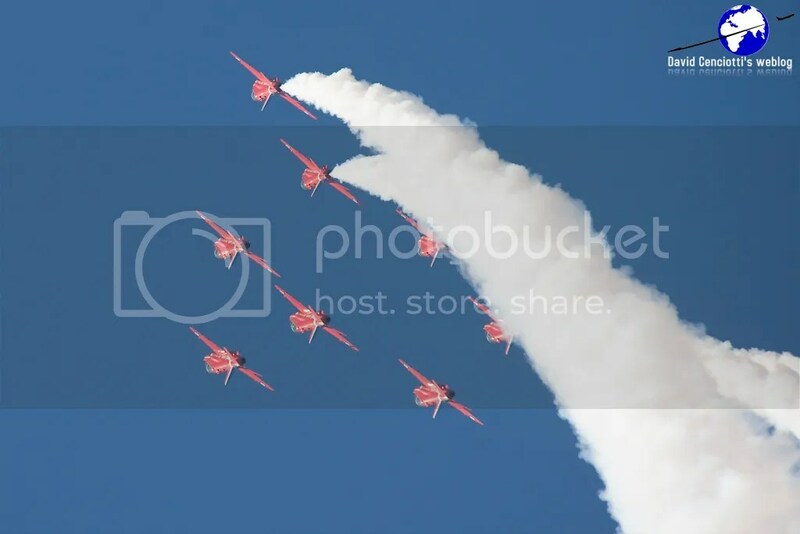 Anyway, this is just my opinion, as the answer to the “who are the best aerobatic display team” question is still an open debate.